It's one of Reno's best kept secrets, one of the best neighborhoods for first-time home buyers, it's historic, and it's my neighborhood. 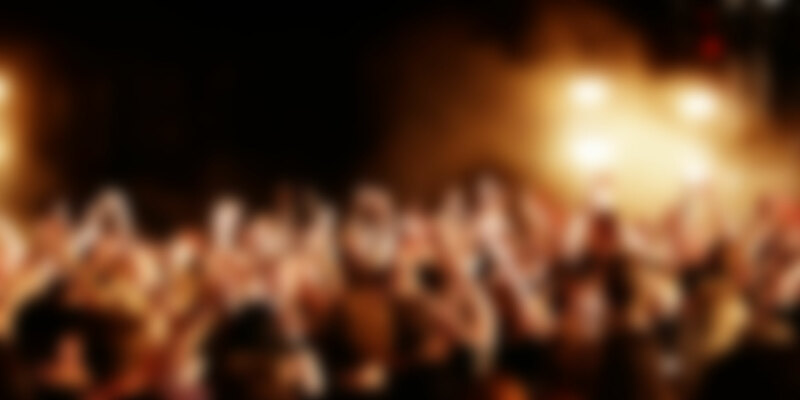 Can you guess what it is? It's Reno's historic Wells Avenue Bungalow district, of course! It's an eclectic enclave of homes situated to the east, and mostly to the west, of Wells Avenue. Wells Avenue recently underwent a major renovation, which included narrowing the street to one lane each way, adding extensive landscaping and old-fashion lighting, adding medians with landscaping, and repaved all the sidewalks. You can find locally-owned businesses on Wells Ave, everything from a pet store to a radio-controlled-hobby store. Anchoring this historic bungalow district on the west is Holcomb Avenue, a busy four-lane street with huge towering trees, and rows of historic bungalows built in the 1900-1930 range. Nearly all of the homes, with the exception of one apartment complex that takes up a block, are intact. The Virginia and Truckee Railroad used to travel down Holcomb Ave, back when the road was one lane each way. There is a lot of rich history in this neighborhood, and the Historic Society gives walking tours on a regular basis. The best part of this neighborhood is the price range of the homes, which if you are diligent can find cute bungalows for under $150,000. And it's within walking distance of downtown! The percentage of owner-occupancy is increasing in this neighborhood. The City of Reno also sees the potential of this neighborhood, and recently completed the Wells Avenue Neighborhood Master Plan. The city worked closely with residents and business owners over the course of nearly two years. This plan, now in place, will solidify the direction of the neighborhood as a whole, including any historic preservation or declarations, ideas on battling graffiti, what kind of zoning is allowed, and all sorts of things. I have been to nearly all the community outreach meetings, and although the residents' opinions may vary, we all want the same end result; to make sure this neighborhood has a future for a long time to come. Once master plans are put into place, they are very hard to amend. Click the link below to find out more. The Wells Avenue neighborhood has the most active resident and business groups in Reno. How active? We've reduced crime by 30% in less than a year, we've planted over 120 trees in parkways along the neighborhood streets straddling Wells Avenue, we convinced the city to move up sidewalk replacement after we learned how long it would be before we were scheduled for the replacement, the city installed extra streetlights to better light our little bungalow district, rehabilitated Stewart Park, made over Wells Avenue completely and turned it into a pedestrian-dense avenue, we regularly schedule clean-ups for our own neighborhood, research grants available for home restoration and much more. Sound like the kind of neighbors you'd like to have? I can't say enough about my neighbors and what we've done together to improve this neighborhood. With a low foreclosure rate and realtively few homes for sale, the homes in this neighborhood never really suffered from the real estate crash, because their home values never peaked in the first place. It was, and is still one of the most affordable bungalow districts in the country. 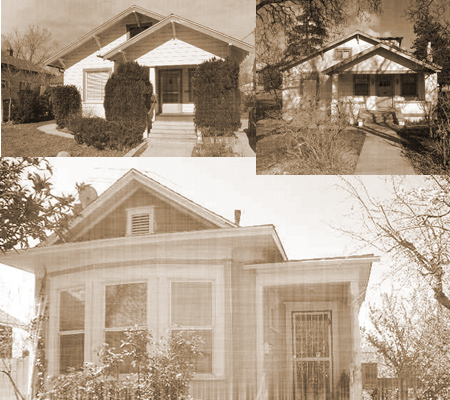 The bungalow district's first homes, constructed along Holcomb and Moran Streets were mostly Queen Anne and Queen Anne cottage styles. By 1910, Arts and Crafts homes with wide porches were more common, and by the 1920’s, the classic bungalow was prevalent, often utilizing local brick. The Mission Revival style, which typically features stucco, arches and parapet roof lines, was also popular during the bungalow period. Some of the area’s most unique homes are recognized as being built in the Vernacular style and add an eccentric touch to the overall character of the neighborhood. The Wells Avenue Neighborhood is in the process of being surveyed for possible designation as the city’s next conservation district. The City of Reno, through its recently adopted Historic Plan, has identified the steps for this process, which includes an architectural survey of all structures within the boundary of the proposed district. A conservation district does not regulate what a property owner can do with his property but is intended to recognize an area’s unique architecture and history and foster a sense of community pride. The city’s only other officially designated conservation district is Powning’s Addition. Members of the Wells Addition Neighborhood Group began the survey last year and this spring, the UNR Planning Club will continue to work on it . Mella Harmon will provide training to help the group recognize and identify the various architectural styles found in the area. The survey will focus on a four by ten block area that contains some of the neighborhood’s most beautiful homes. The proposed boundaries will be Ryland and Vassar from north to south and Holcomb and Locust from west to east. This establishes Wells Avenue as the central axis of the district. 6/26/2008 - WELLS AVENUE BUNGALOW NEWS - Congratulations to all of us Wells Avenuvians! The overlay zoning and design standards portion of the Wells Avenue Plan passed city council with no opposition yesterday. Barrie Schuster, our fearless neighborhood leader as I like to refer to her (she's also on our NAB), was on-hand at the council meeting to endorse the proposal. She also, with the help of a slew of complaints from residents in this area, got a special meeting scheduled to discuss our not-so-red-hot sidewalks in what us Wells Avenue residents call 'the island', the group of old homes bordered by Holcomb, Wells, Vassar and Ryland. Barry Schuster said "Our Vision for the future is of a Wells Avenue Neighborhood where pride in the neighborhood's history and character is clear-evidenced by the area's well maintained homes and yards and ongoing property owner investment in the restoration and adaptive re use of historic homes and structures. The diversity of the neighborhood is further enhanced through the integration of infill and redevelopment that is in keeping with the established character of the neighborhood." I second that motion! The best part of the Overlay plan are the mass zoning changes it institutes. Some of the highlights include; re-zoning all of the properties on the east side of Holcomb to Mixed Use Residential, allowing adaptive re-use of the old homes along this street as small offices, something many people have been doing anyway, also rezoning the properties on Vassar between Wells and Holcomb as Mixed Use Residential as well. Some of the Action Plan highlights include enhancing Wells Avenue's treescape (something already in process with the Roots for Wells plan of 100 trees being planted along Wells Avenue this fall), historic bungalow district walking tours, getting 'historic bungalow district' signs for our neighborhood, promoting homeownership in the neighborhood to reduce absentee landlords and home turnover, architectural standards for new buildings, a facade improvement program for Wells Ave, a neighborhood watch program already in effect, and so much more! I can't emphasize this enough; I love this neighborhood, I have some amazing neighbors who were all as committed to developing this plan as I was, and of course Barrie, who has become an essential beacon of communication between us and city officials. Everyone, from our councilwoman Jessica Sferrazza to the Planning Commission to Jessica Jones, the main community development manager involved, was impressed with the continuous high level of resident participation in this process. A bungalow type district is a great idea for where the most residential houses are located but I think this can only be done if further building could be limited to no more than duplexs and promoting more live in homeownership since that way there will be more of a stake in upgrading the neighborhood. This neighborhood is cute. How much do houses go for in this area? Thank you for your continued efforts to gentrify the Bungalow District of Reno. I bought a 100 year old house on Roberts Street 8 years ago, and have almost completely restored it. It's the one with the mermaid weathervane on the roof. I love my house, and would never choose to live in a tract house again. I think the "apartment behind the house" practice is what ruined this neighborhood. Reno had crooked inspectors that allowed these dumps to be built sometimes without permits! The apartment next to me was built entirely without a permit! Because of the sub-standard quality of construction, it's difficult to get quailty renters. I personally am becoming more involved with the neighborhood and other people that are commmitted to improving the quality of the neighborhood. We just deal with one situation at a time, and hopefully one day things will be measurably better than they are now. Reno's policy is this: if you can build something without a permit and get away with it, then it is considered "grandfathered in." Reno needs to change this attitude and make the illegal building of structures a practice with serious consequenses. Also, there should be incentives for people to fix up their yards and houses. In some cities, people are told to clean up their yards, and if they don't comply - the city hires someone to do it and then they charge the homeowner. I would love to see that happen here! I was driving around the Wells Ave Bungalow area yesterday. There are some great houses and I sure hope that people keep buying and fixing them up. There is so little old in Reno. Although a more known and popular District is the Newlands area. There are still many great houses in this neighborhood that need someone to love them too. And there are still some good deals to be had. I have never lived in a neighborhood in Reno were people took so much pride in their homes. A great location for walking to Downtown. Tree lined streets, People out walking their dogs, riding their bikes and always willing to though you a complement when they see you have done a little more repair on your home. Thank you to all my neighbors for your support. This area is really looking good now that so many of the streets have been redone. My wife and I took a drive down through here the other day and I was very impressed. It is funny how much difference a nice new street and some nice sidewalks can make. A lot of the houses are looking pretty good too. I think this area will make a slow and steady recovery to being one of the nicer old areas in town. I suggest taking a drive some weekend down there. You will see people taking walks and hanging out in their yards. The full grown trees make a huge difference as far as going out to just hang out in your yard. Just try that in some new double diamond development and you will be sunburn city. No offense, though. Those developments are nice in other ways. Hey, long time no comment. I think it is definitely time for a new comment on this great neighborhood. On April 25, 2009, the first annual Roots for Wells Tree Planting Day went down. Over 80 volunteers showed up to plant 100 trees along the residential streets surrounding Wells Avenue (not ON Wells Avenue itself). This neighborhood has those great parkway strips between the sidewalk and street where you can plant trees for that tree lined street effect. These planting strips provide a great buffer between homes and traffic. 100 trees were purchased with a grant obtained from the Ward 3 Neighborhood Advisory Board and the project was overseen by the City of Reno Urban Forestry Commission. Property owners were surveyed to insure that all trees had a commitment for care. We are definitely doing this again next year when we will bring it to the west side of Wells Avenue. Also, the surveying has begun for the adoption of the Wells Avenue Neighborhood as a conservation district. This is being overseen by the Historic Resources Commission. And, there are quite a few pretty fantastic bungalows selling in the $150,000 range making owning cheaper than renting in some cases. Keep your eye on this neighborhood! I've been a fan of the Wells B. D. for a couple years (while living in Tahoe) and finally bought a home here last November. I can't believe how much I love living in the "Desert Berkeley" neighborhood -and Reno itself (my "Emerald City on Acid")! As a property owner, therefore concerned about the property value of the 'hood, I wish: - There were more trees, landscaping, greenery in general. (I planted 4 trees in my front yard before escrow had even closed...) - All the chain link fences would magically disappear. Really, the neighborhood would go from quasi-white trash to quaint & classy in a heartbeat if we could just eliminate all of those low chain link fences. (I know, it'll never happen.) Excited to get involved in the neighborhood efforts! Lovely Idea. I wish there was a way to slow down and silence the motercycles on Holcomb avenue though. My wife and I placed an offer on a home on Thoma Street today. Hope we get it. The interior has been remodeled, it needs exterior TLC. The area is so nice. Well, we got the house on Thoma on 9/1/2013, what started as a fast clean up and move in, turned into a 6 month renovation and we moved in 3/1/2014. Couldn't be happier. Great area, nice neighborhood and the West of Wells group is a great asset to the community. We met more people here while remodeling than we did in 12 years in the suburbs. Best move we ever made. This part of Reno is improving daily, the number of things to do and see is great.